No carbon required. This is normally used for receipt books. 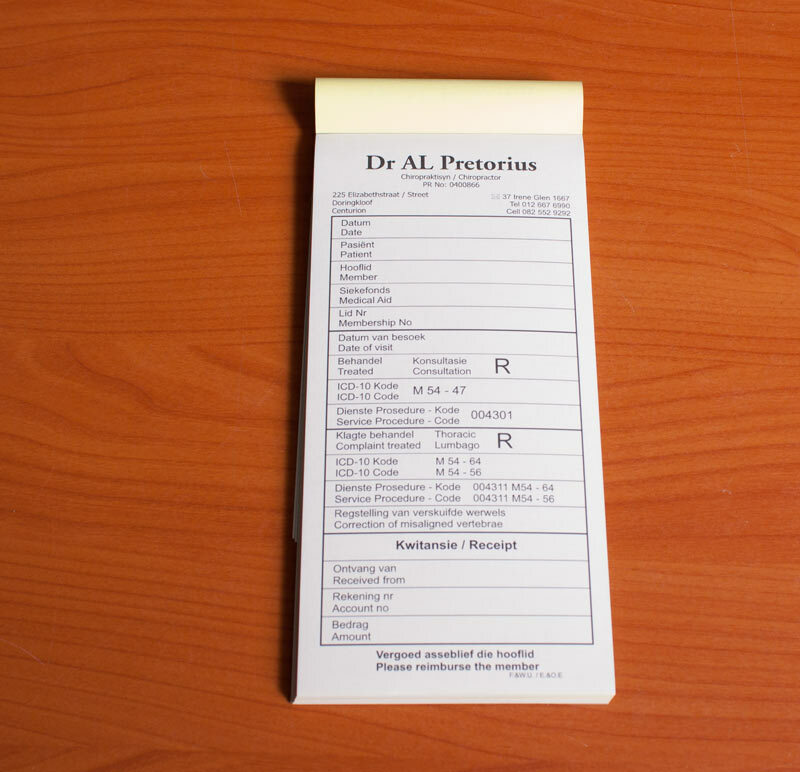 Our most popular product is an A4 receipt book containing 10 duplicate receipts per page and 500 per book. These books are customised to your requirements. So your company name is printed on each receipt. The number range is also as per customer spec. These books can also be ordered in any quantity from one upwards. 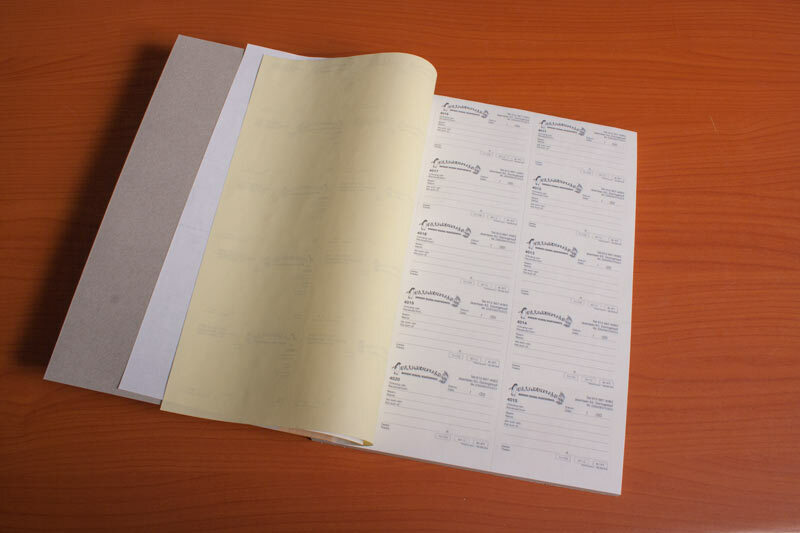 If you are in need of a different format of book with custom perforation or even a pad format. You came to the right place.